Leading the way in technology advancements, Zoot is using CARBON fabric in the Ultra Tri Aero Short Sleeve Jersey for the most cutting edge performance benefits. BYOB - bring your own bra for personal comfort. 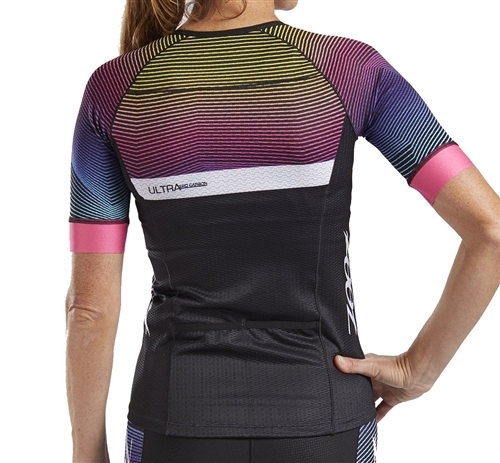 The aerodynamic advantages of the Aero Short Sleeve Jersey are perfect for race day. 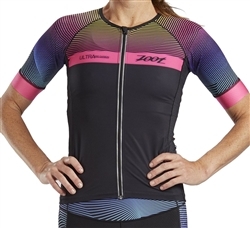 I was very happy how fast my new triathlon kit was delivered. Everything fit perfectly! Thank you!